Typically, groups of up to 250 people are comfortable in our show room. 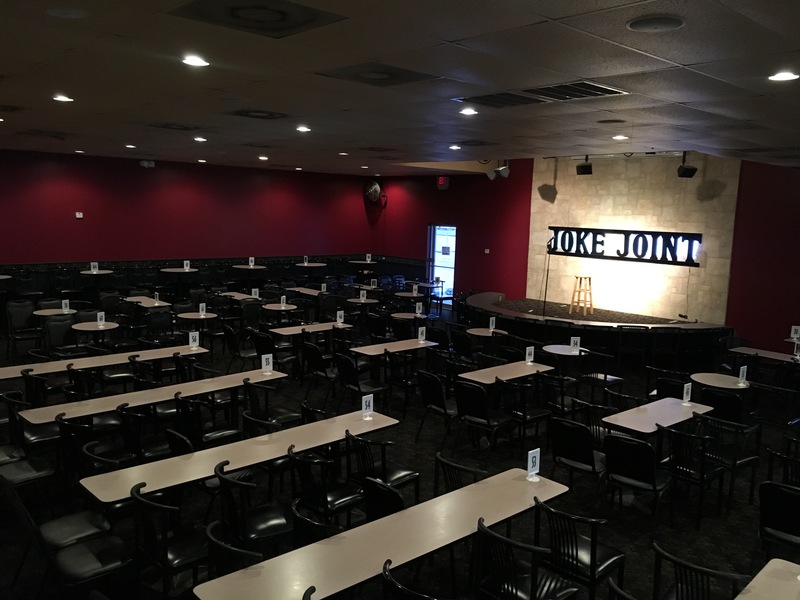 Our seats are comfortable, the tables are large enough for food and drinks, and there are no obstructed views of the stage. 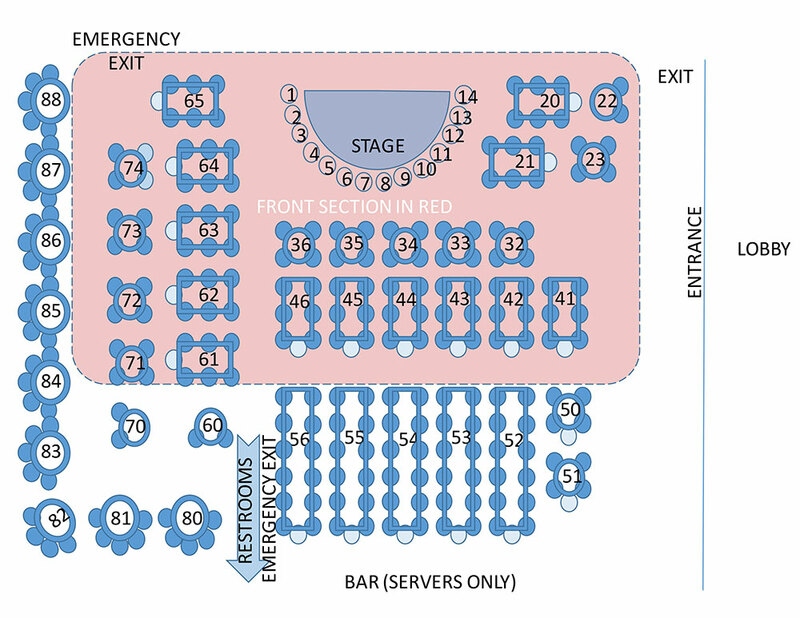 Food and drink is available, during the show, from our fine servers, so please don’t get up during the show to go to the bar!